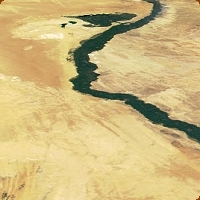 The Dakhleh Oasis Project is a long-term regional study of the interaction between environmental changes and human activity in the closed area of the Dakhleh Oasis, Western Desert of Egypt. The study includes all the time since the first incursion of humans in the Middle Pleistocene, perhaps 400,000 years ago, down to the 21st century oasis farmers, and all the human activity and all the changing environmental conditions for which there is evidence within the time period. The Dakhleh Oasis Project has been conducting this wide study since 1978, supported by a number of universities and organizations. Among these have been Monash University, The University of Durham, the University of Toronto, Columbia University, New York University, The Royal Ontario Museum, the Society for the Study of Egyptian Antiquities, the American Research Centre in Egypt, the Egyptology Society of Victoria, as well as the many institutions of the various participating scholars which support individuals. Anthony J. Mills is the Director of the Dakhleh Oasis Project. The Dakhleh Oasis lies some 600 km SSE of Cairo, surrounded by the wastes of the eastern Sahara. The oasis is some 80 km west-east and 25 km north-south. The local economy is based in agriculture, and there are no known mineral or other viable resources. The capital is at Mut, which has been the main town since at least the eighteenth dynasty, about 1,500 BCE. Before then, the site of 'Ain Asil at Balat in eastern Dakhleh had been the seat of the government, since 2,500 BCE , and before that the less settled Neolithic and earlier populations inhabited the area. The Dakhleh Oasis has had a continuity of settlement for about the last 8,000 years but only since 2,500 BCE has it been politically tied to the Nile region. Climatic trends and events that can be discerned in most of the eastern Sahara are also seen at Dakhleh. The first European traveller to 'discover' the Dakhleh Oasis was Sir Archibald Edmonstone, in 1819. He was followed by several other early travellers, but it was not until 1908 that the first egyptologist, Herbert Winlock, visited the oasis and noted its monuments in a systematic manner. Only in the 1950s was any real interest taken, first by Dr. Ahmed Fakhry, and in the late 1970s an expedition of the Institut Français d'Archéologie Orientale and the Dakhleh Oasis Project each began detailed studies in the oasis.